If you were unable to attend, feel free to bring your form by the church office or there is also a way to share your commitment on-line CLICK HERE. Your support and participation is greatly appreciated. If you are looking for a way to serve in the church, perhaps you'd be interested in serving communion during the 10:00 a.m. service. Communion is offered the first Sunday of each month and some special days. You sign up for the date(s) that fit your schedule. If so, please contact Pam Pyron at 228-3658 or pampyron@gmail.com. Training provided. What do you think our current worship schedule offers, for you and for others? 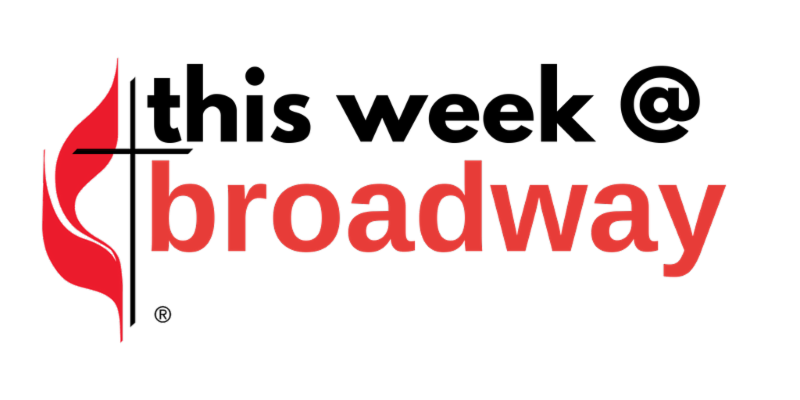 What are the most important connections for you at Broadway and when do those take place? 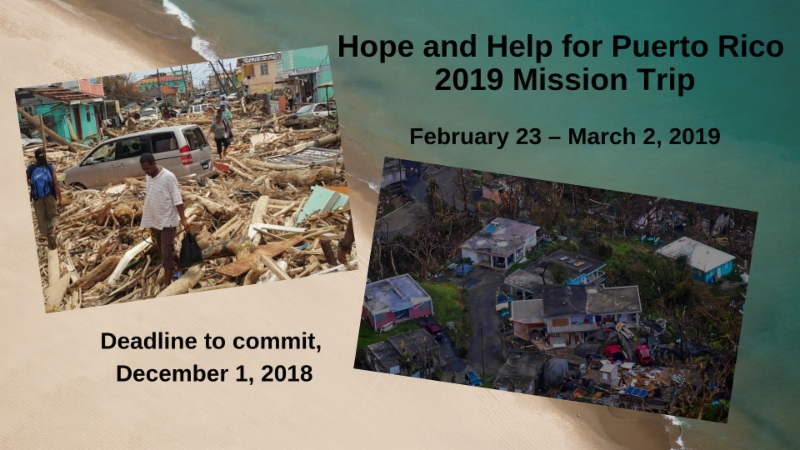 We hope to finalize our Volunteers in Mission trip to Puerto Rico to help with rebuilding after the devastating hurricane of September 2017. 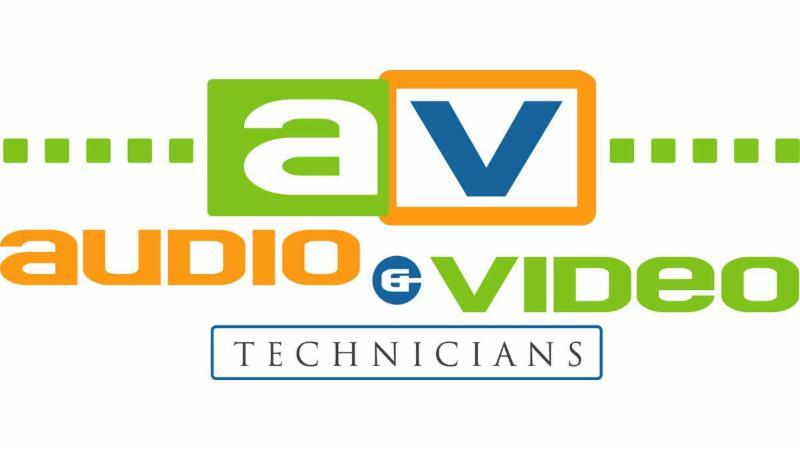 Please consider joining our team February 23 – March 2, 2019 (Saturday-Saturday). The work will be hard, but we will give the people of Puerto Rico the gift of extra hands to rebuild, and the hope and reassurance of not having to face difficult situations alone. We will be rebuilding homes and sanctuaries, though we will not know the specific job until two weeks before we arrive. 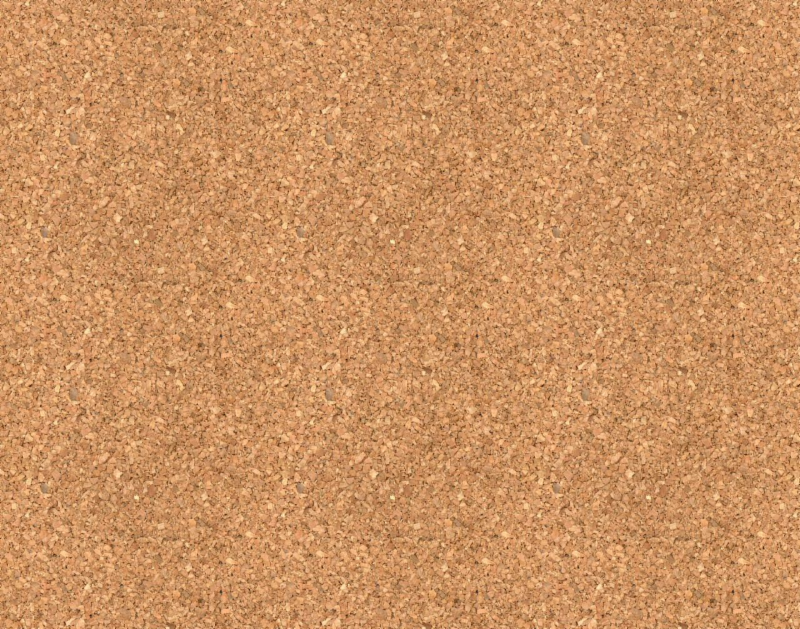 Construction skills are helpful, but not necessary. The minimum age is 18. Lodging is church camp/dorm style and the construction work varies but there will be a construction manager to direct our work. There will be a team meeting on Tuesday, December 11 at 7:00 pm. If you have interest and/or questions please contact Mart Margaret Eckhardt, marymeckhardt613@gmail.com. 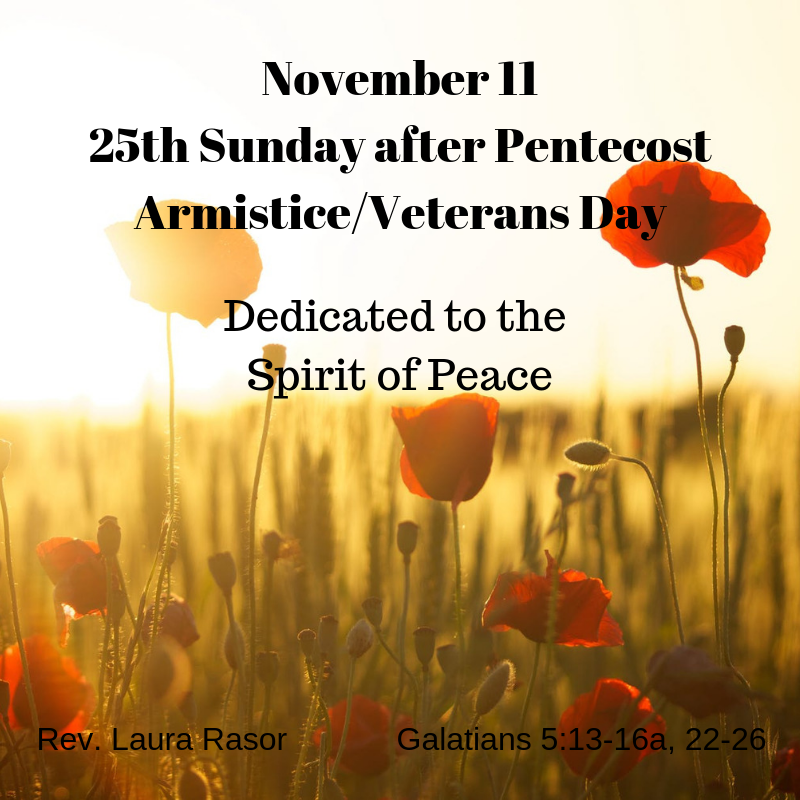 Sunday, November 11 is the 100th Anniversary of the 1918 Armistice, ending WWI. Bells, especially church bells, rang around the world, 11 times at the 11th hour of the 11th day of the 11th month. 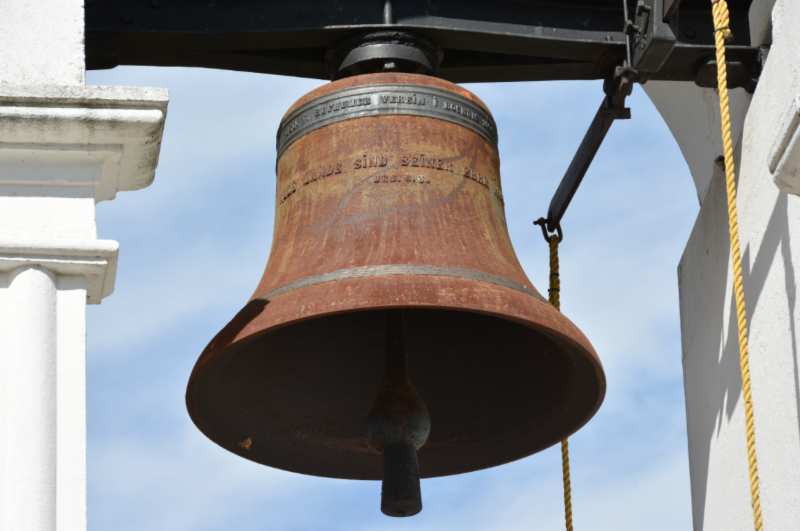 The ringing of the bells celebrated the end of what, at the time was called “The War To End All War.” We will ring the Broadway Bell at 11:00 a.m. in honor of that day and as an ongoing call and prayer for peace. 7:00 pm - Let's Grow Worship Mtg. Our next outing is scheduled for Saturday, November 17. We’re headed to the Big Creek Trail in the Smokies. The trail follows the creek along an old railroad bed so is relatively flat (for a Smokies Trail). There are also beautiful waterfalls. 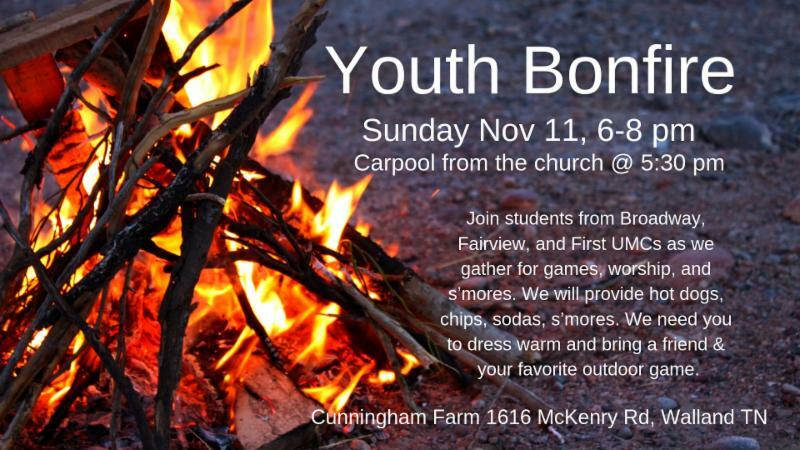 We will leave from the church at 9:30 a.m. Bring a packed lunch and be sure to dress for the weather. Please make a reservation through the church office so that we can let you know of any schedule adjustments. 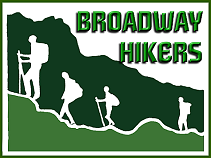 We also have a hike scheduled for December 15. We will gather in the Church parking lot at 2:00 and carpool to Metcalf Bottoms parking lot. From there we will hike up to Little Greenbriar Schoolhouse and then to the Walker Sister's Cabin. Round trip is about 2.5 miles and considered "easy" for the Smoky Mountains. Pack water and a snack. 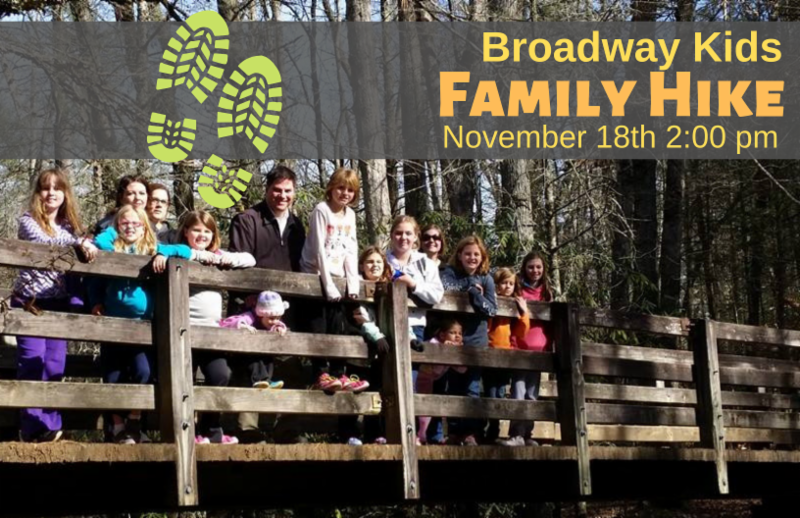 Email the church office@broadwayumc.net to sign your family up. Please include a cell phone number in case we need to change plans at the last minute. Come join us on Sunday, November 18, 10:15 am till 2:00 pm. 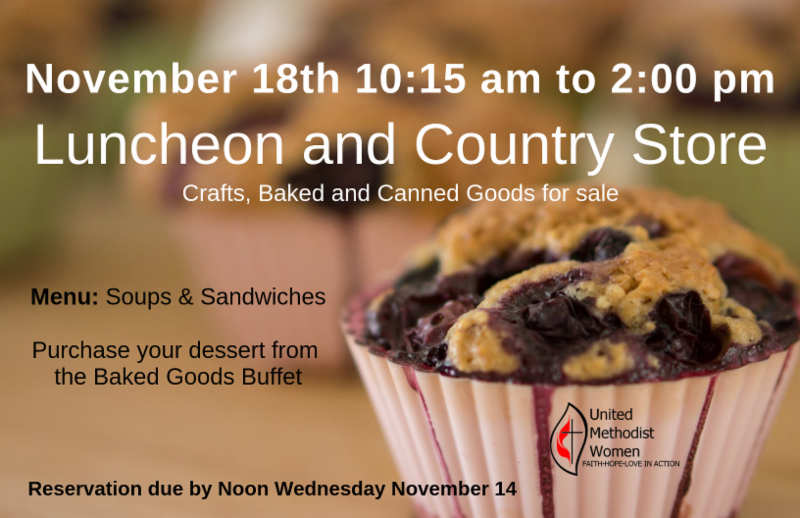 United Methodist Women will have our annual Luncheon and Country Store. Menu will be soups and sandwiches. If you would like to contribute items to the Country Store just contact Patsy Russell patsydrussell@charter.net or 977-8773. The Luncheon and Country Store is the largest UMW fundraiser of the year and proceeds help fund our mission projects. To make a reservation call the church office or sign up on the pew pad. 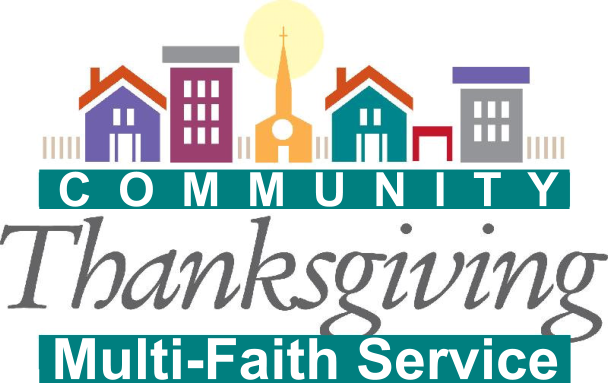 Blount County Ecumenical Action Council is hosting a multi-faith Thanksgiving Service on Sunday, November 18 at 3:00 p.m. in the Sharon Lawson Room at the Blount County Public Library. The theme of the service is “Love One Another: We Are All Flowers of One Garden.” The service is free and open to the public. ﻿ In February of 2019, a special called session of the General Conference of The United Methodist Church is considering recommendations around issues of human sexuality and the unity of the church. Rev. Catherine Nance from 1st UMC, Maryville and Rev. 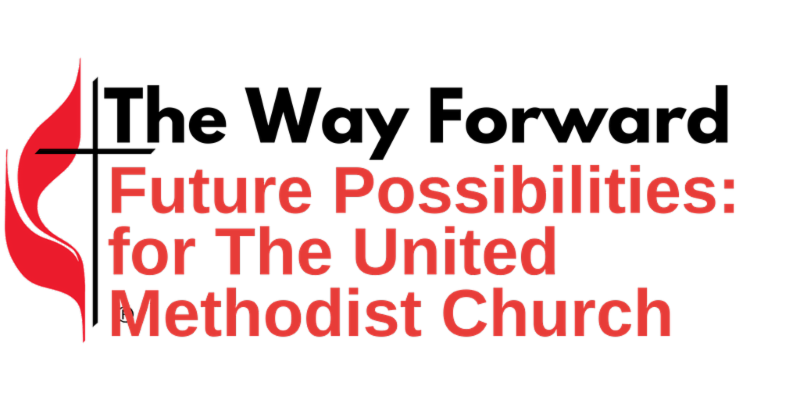 Laura Rasor from Broadway UMC are hosting a 90 minute informational session to learn more about how the UMC works, the historical background of the disagreements, and the recommendations that will be considered at General Conference. The session will be offered on a variety of different days and times and at both locations, with the hope that you will take the opportunity to attend one. Catherine and Laura will both be present at each session, and the same material will be addressed at each. You need to attend only one session, and are invited to attend whichever time and place works best for you. 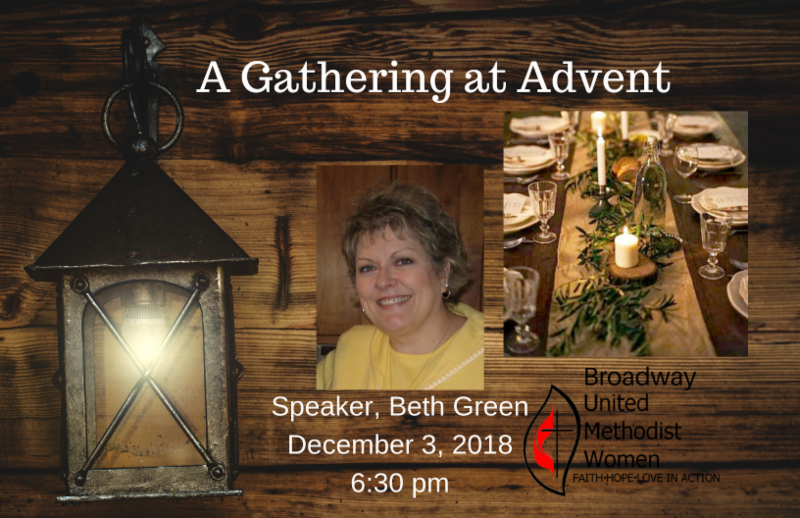 All women are invited to attend a very special Advent evening here at Broadway. On Monday, December 3, at 6:30 pm, our fellowship hall will be transformed into a Christmas wonderland of exquisite tables decorated by various ladies in our church. The evening includes dessert and beverages and our featured guest, Beth Green. Beth is a gifted humorist and storyteller and delights her audience with tales of life as a Methodist minister’s wife. She has previously been with us at our ladies retreat and performed at Broadway’s Got Talent. Preregistration is required. Please use the sign up sheets in the pew pads, or call the church office. We will have gluten free and sugar free desserts available. There is no cost for the evening, how ever an offering will be taken with a portion going to Alex’s Lemonade Stand for childhood cancer research. Deadline for registration is Sunday, November 25. 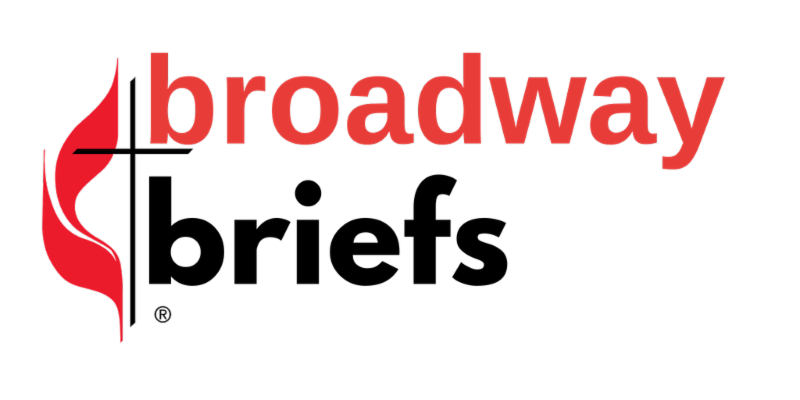 Please make your plans now to join us for an evening like no other before here at Broadway. Randy Carter, prostate cancer surgery on November 13. 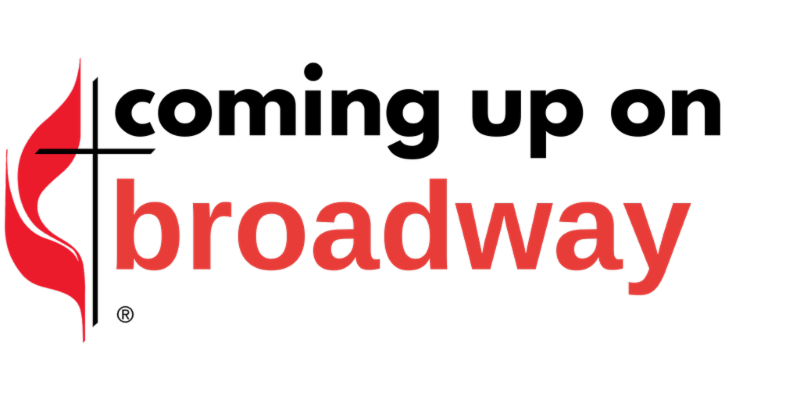 Broadway UMC seeks Youth Director (part-time) to provide vision and leadership for program comprised of grades 6 through 12. 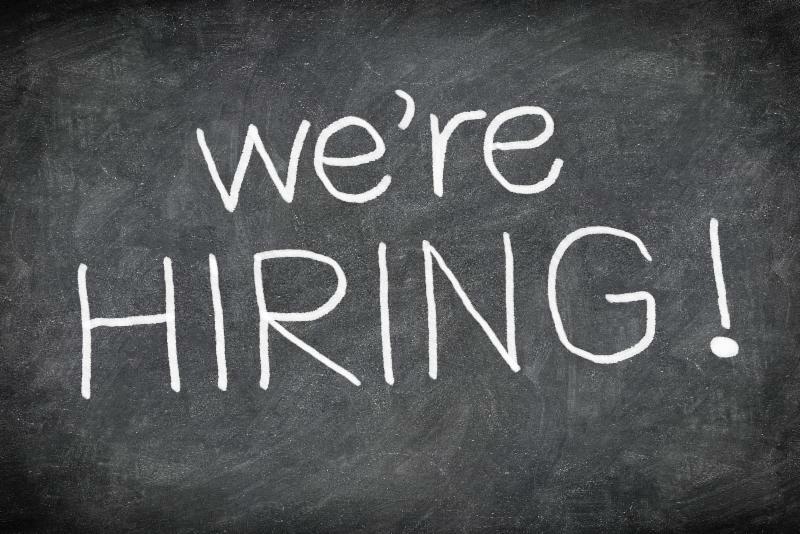 Candidate must be self-motivated, enthusiastic, and spiritual with willingness to grow the program. Hours are flexible but include Sunday (a.m. and p.m.). 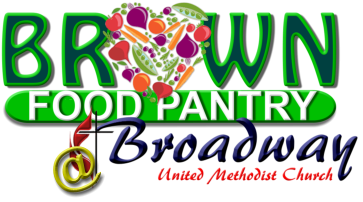 Send resume and cover letter to pastor@broadwayumc.net. to this ministry is very much appreciated. Share this information and the above links with your neighbors and friends. many in our community who are struggling to make ends meet.